On 17th August 1635, a ship from Bristol, England, arrived at Boston, Massachusetts carrying amongst its passengers a congregational minister from Liverpool. Richard Mather had been suspended from his ministry there for his non-conformity and, like many others at that time, had decided to cross the Atlantic to seek a new life. Richard, with his wife Catherine, settled in Dorchester where he became teacher of a newly planted church. In 1639 they had a son, Increase, who in 1662 married Maria, the daughter of John Cotton, another immigrant. Their first child, Cotton, named after his maternal grandfather, was born on 12th February 1663. Increase Mather was a man of wealth and of influence both in the community as well as the church, and Cotton was brought up in a comfortable household. 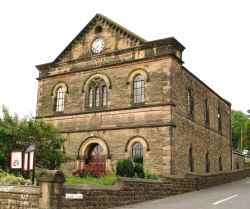 One of his chief delights was reading and when his father’s church and house were destroyed by fire in 1676, he came home from college to help dry out the precious books which had been saved. Cotton did not enjoy the best of health as a child and suffered from a speech impediment, but his education in the local free school and the guidance of his father led to him being sent to college at Harvard when he was just twelve. After three not particularly happy years he graduated in 1678 and returned home. The following year he entered into membership of his father’s church. Cotton’s ambition was to follow his grandfather and father into the ministry of the church, but his impediment made this an unlikely prospect. He decided therefore to study medicine. Whilst doing so he was encouraged to try and overcome his own stutter, and by patient perseverance he was, with God’s help, enabled to do so. He discussed with his parents again the possibility of entering the ministry, and one August day in 1680 he stood in the pulpit of his grandfather’s church in Dorchester to preach his first sermon. He took as his text words from Luke 4:18 “He hath sent me to heal the broken-hearted” which gave him the opportunity to refer to his abandoned medical career and to compare the healing of the body with that of the soul. After initial nervousness he was enabled to preach without hesitation or stumbling to the blessing of those in the congregation. Within six months he was appointed assistant to his father at the church in Boston, where he remained for the rest of his life. On 13th May 1685, he was ordained by his father before a large congregation to whom he preached for about an hour and three quarters. He was devoted to his father and to his church, and seldom journeyed more than a few miles from Boston to preach. Twice early in his ministry he received a call from New Haven, and twice he declined. Boston was his calling, and in Boston he remained. Even when elected a Fellow of the Royal Society of London, he did not go to England to receive the honour. One innovation which he introduced into his ministry was that of visitation, setting aside one afternoon a week for the purpose. In 1686 now twenty three years old, he married Abigail Phillips, the daughter of John and Katherine Phillips. 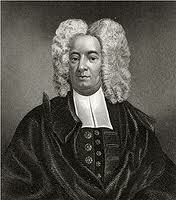 Cotton Mather remained in the shadow of his father until 1688, when increased travel to England to represent the colony in negotiating a new charter for Massachusetts. Cotton took charge of the congregation at Boston, and also became involved in political events as the repercussions of the Glorious Revolution were felt in New England. When news was received of the landing of William of Orange, it was in Mather’s house that a revolution was planned against the governor, Andros, who had been imposed upon them by James II in 1686. The uprising was successful and Andros was confined and eventually sent back to England. Increase Mather returned in 1692 with a new charter and was received with great joy, whereupon Cotton slipped back into his shadow. While his father was away, Cotton became involved in the witchcraft trials which have left a stain on his reputation. In mid-1688, four children of one John Goodwin, who lived in the neighbourhood of the church, were afflicted by “strange fits”. One of them, Martha, had offended the family’s laundrywoman, and the latter’s mother, Mrs Glover, whose husband sometimes called her a witch, cursed Martha, and she and the other children became subject to fits and other strange symptoms. John Goodwin sought unsuccessfully to rid his children of them through prayer, but eventually “Goodwife” Glover was brought to trial and condemned to death. Mather interviewed her in jail, insisting on praying for her despite her protestations, and on the way to execution she told him that her death would not relieve the children of their afflictions. This proved to be true and the children continued to suffer at the unseen hands. Wishing to study these things Mather took Martha into his own house in November 1688, where she stayed until June the following year before leaving completely cured. A little over three years later, in February 1692, another bout of witchcraft arose in Salem Village a few miles north of Boston, and Mather again became involved, in part because of his experience in the previous cases. Dreams and hallucinations were accepted by the judge and jury as evidence against the accused with the result that defence was virtually impossible. In the event nineteen alleged witches, many of them highly respected members of the community, were hanged, despite their protestations of innocence, both Cotton and his father concurring with the judgments. Interestingly, none of those who actually confessed to being witches were put to death. Mather wrote an account of the Salem witchcraft cases entitled “The Wonders of the Invisible World” which gave him a not entirely deserved popular reputation for credulity and bigotry. Subsequently the judge and jury publicly acknowledged their error, and sought forgiveness from the families of those condemned. Cotton Mather lacked the personal force of his immediate forebears, and, perhaps because he was most of his life in the shadow of his father, seemed unable to exert the influence upon public affairs which he felt he should have done. Nevertheless he was much loved by his people and by his ministerial colleagues, many of whom preached funeral sermons in his memory. His lifelong interest in medicine and science brought him into correspondence with many of the leading figures of Europe, and in 1721 he championed the use of inoculation against smallpox in the face of much opposition in Boston, an event from which the history of preventative medicine is said to have begun. We gratefully acknowledge our thanks for permission to reproduce this article.